Don is a Principal Field Development Engineer with the medical polymers business of Celanese Engineered Materials. Celanese is The Chemistry Inside Innovation™ and has been providing polymer solutions to the medical device industry for decades. 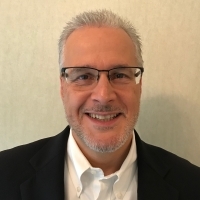 Don has a BSME from Worcester Polytechnic Institute and since university, has worked in the engineering resins industry for almost 30 years in a variety of application & market development roles across a wide range of markets. He enjoys working with customers on the forefront of new & improved product developments where resin specification decisions are made based on design & performance needs.